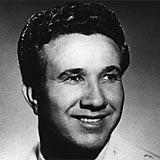 No artist in the history of country music has had a more stylistically diverse career than Marty Robbins. Never content to remain just a country singer, Robbins performed successfully in a dazzling array of styles during more than 30 years in the business. To his credit, Robbins rarely followed trends but often took off in directions that stunned both his peers and fans. Plainly Robbins was not hemmed in by anyone's definition of country music. Although his earliest recordings were unremarkable weepers, by the mid-'50s Robbins was making forays into rock music, adding fiddles to the works of Chuck Berry and Little Richard. By the late '50s, Robbins had pop hits of his own with teen fare like "A White Sport Coat (And a Pink Carnation)." Almost simultaneously, he completed work on his Song of the Islands album. In 1959, Robbins stretched even further with the hit single "El Paso," thus heralding a pattern of "gunfighter ballads" that lasted the balance of his career. Robbins also enjoyed bluesy hits like "Don't Worry," which introduced a pop audience to fuzz-tone guitar in 1961. Barely a year later, Robbins scored a calypso hit with "Devil Woman." Robbins also left a legacy of gospel music and a string of sentimental ballads, showing that he would croon with nary a touch of hillbilly twang. Born and raised in Glendale, AZ, Robbins (born Martin David Robertson, September 26, 1925; died December 8, 1982) was exposed to music at an early age. His mother's father was "Texas" Bob Heckle, a former medicine show man who told his grandson cowboy stories and tales of the traveling show. Robbins became enraptured by the cowboy tales and, once he became a teenager, worked on his older brother's ranch outside of Phoenix, concentrating more on his cowboy duties than his studies. Indeed, he never graduated from high school, and by his late teens, he started turning petty crimes while living as a hobo. In 1943, he joined the U.S. Navy to fight in World War II, and while he was in the service, he learned how to play guitar and developed a taste for Hawaiian music. Robbins left the Navy in 1947, returning to Glendale, where he began to sing in local clubs and radio stations. Often, he performed under the name "Jack Robinson" in an attempt to disguise his endeavors from his disapproving mother. Within three years, he had developed a strong reputation throughout Arizona and was appearing regularly on a Mesa radio station and had his own television show, Western Caravan, in Phoenix. By that time, he had settled on the stage name of Marty Robbins. Robbins landed a recording contract with Columbia in 1951 with the assistance of Little Jimmy Dickens, who had been a fan ever since appearing on Western Caravan. Early in 1952, Robbins released his first single, "Love Me or Leave Me Alone." It wasn't a success and neither was its follow-up, "Crying 'Cause I Love You," but "I'll Go On Alone" soared to number one in January 1953. Following its blockbuster success, Robbins signed a publishing deal with Acuff-Rose and joined the Grand Ole Opry. "I Couldn't Keep From Crying" kept him in the Top Ten in spring 1953, but his two 1954 singles -- "Pretty Words" and "Call Me Up (And I'll Come Calling on You)" -- stalled on the charts. A couple of rock & roll covers, "That's All Right" and "Maybellene," returned him to the country Top Ten in 1955, but it wasn't until "Singing the Blues" shot to number one in fall 1956 that Robbins' career was truly launched. Staying at number one for a remarkable 13 weeks, "Singing the Blues" established Robbins as a star, but its progress on the pop charts was impeded by Guy Mitchell's cover, which was released shortly after Robbins' original and quickly leapfrogged to number one. The process repeated itself on "Knee Deep in the Blues," which went to number three on the country charts but didn't even appear on the pop charts due to Mitchell's hastily released cover. To head off such competition, Robbins decided to record with easy listening conductor Ray Conniff for his next singles. It was a crafty move and one that kept him commercially viable during the peak of rock & roll. The first of these collaborations, "A White Sport Coat (And a Pink Carnation)," became a huge hit, spending five weeks at the top of the country charts in spring 1957 and peaking at number two on the pop charts, giving him his long-awaited breakthrough record. After "A White Sport Coat (And a Pink Carnation)," Robbins was a regular fixation on both the pop and country charts until the mid-'60s. The Burt Bacharach and Hal David composition "The Story of My Life" returned Robbins to the number one country slot in early 1957 (number 15 pop), while "Just Married," "Stairway of Love," and "She Was Only Seventeen (He Was One Year More)" kept him in teen-pop territory, as well as the upper reaches of the charts, throughout 1958. In addition to his pop records, Robbins recorded rockabilly singles and Hawaiian albums that earned their own audience. During that time, he began a couple of business ventures of his own, including a booking agency and a record label called Robbins. He also ventured into movies, appearing in the Westerns Raiders of Old California (1957) and Badge of Marshal Brennan (1958), where he played a Mexican named Felipe. The films not only demonstrated Robbins' love for Western myths and legends, but they signalled the shift in musical direction he was about to take. Over the course of 1958 and 1959, he recorded a number of cowboy and western songs, and the first of these -- "The Hanging Tree," the theme to the Gary Cooper film of the same name -- became a hit in spring 1959. However, the song just set the stage for Robbins' signature song and biggest western hit, "El Paso." Released in the summer, the single spent six months on the country charts, including seven weeks at number one, while hitting the top of the pop charts. A full album of western songs, Gunfighter Ballads and Trail Songs, became equally successful, reaching number six on the pop charts, and by the mid-'60s, it had gone platinum. "El Paso" began a very successful decade for Robbins. "Big Iron," another western song, followed its predecessor to the Top Ten of the country charts in 1960, but it wasn't until 1961 that he had another huge hit in the form of "Don't Worry." Fueled by a fuzz-toned guitar (the first country record to feature such an effect), "Don't Worry" spent ten weeks at number one and crossed over to number three on the pop charts. The following year, "Devil Woman" became nearly as successful, spending eight weeks at number one; it was followed by another number one, "Ruby Ann." Between "Don't Worry" and "Devil Woman," he had a number of smaller hits, most notably the Top Ten "It's Your World," and for the rest of the decade, his biggest hits alternated with more moderate successes. With his career sailing along, Robbins began exploring racecar driving in 1962, initially driving in dirt-track racing competitions before competing in the famous NASCAR race. However, car racing was just a hobby, and he continued to have hits in 1963, including the number one "Begging to You." The following year, he starred in the film Ballad of a Gunfighter, which was based on songs from his classic album. Robbins' chart success continued throughout 1964, before suddenly dipping after he took Gordon Lightfoot's "Ribbon of Darkness" to number one in spring 1965. For the remainder of the year and much of the next, his singles failed to crack the Top Ten, and he concentrated on filming a television series called The Drifter, which was based on a character he had created. He also acted frequently, including the Nashville exploitation films Country Music Caravan, The Nashville Story, and Tennessee Jamboree and the stock-car drama Hell on Wheels. Though "The Shoe Goes on the Other Foot Tonight" reached number three in 1966, it wasn't until "Tonight Carmen" reached number one on the country charts in 1967 that his career picked up considerably. During the next two years, he regularly hit the Top Ten with country-pop songs like "I Walk Alone" and "It's a Sin." Robbins suffered from a heart attack while on tour in August 1969, which led to a bypass operation in 1970. Despite his brush with death, he continued to record, tour, and act. Early in 1970, "My Woman My Woman My Wife" became his last major crossover hit, reaching number one on the country charts and 42 on the pop charts and eventually earning a Grammy award.